Nine News Sunshine Coast boasts a very successful all-female team of well-established journalists who are leading the way for women in regional media by providing locals with the stories that matter most to their community. Sophie Ryan grew up on Sunshine Coast and studied journalism at the University of the Sunshine Coast. 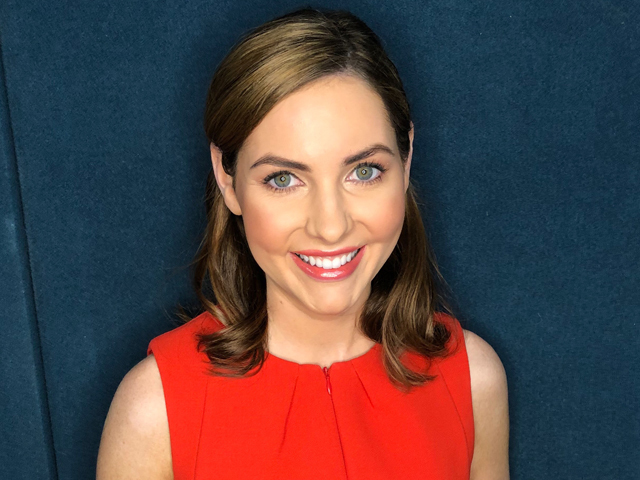 She began her career in 2012 as a news and weather assistant at WIN Television Queensland, which eventually turned into a full-time role as a reporter and producer. Sophie then moved to Channel Nine in 2017. Sophie loves the buzz of a breaking news story, and has covered a wide range of local stories, including bushfires, floods and major court cases. Question: What's the best part about being a part of an all-female Nine News reporting team? Sophie Ryan: I think we have a great bond. We support each other and help each other out while working together to achieve a common goal. I think that's mostly because our work ethics are similar, rather than the fact we are all female. Question: How have you personally overcome the career challenges of a traditionally male-dominated workplace? Sophie Ryan: I think the industry has come a long way and I personally don't believe my gender hasn't created challenges for me in my career. I heard about how TV was traditionally male-dominated at University and then I stepped into my first newsroom. The executive producer was female, as was the producer and all three news journalists. It's continued like this throughout my career where women have been in senior roles. Looking back, I'd also like to add that some of my greatest supporters and mentors have been male. I believe working really hard and honing your skills is the most important thing and what is appreciated most by managers. Question: Can you talk us through your career journey to now, working at Nine News Sunshine Coast? 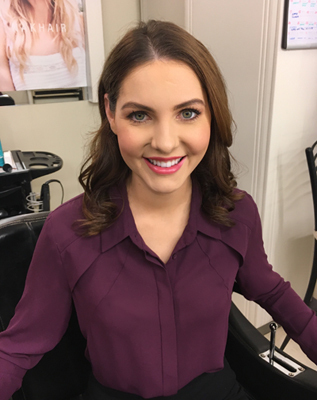 Sophie Ryan: My first job in the industry was as a weather assistant at WIN Television 2012. I had to put in all the information for the nightly weather reports, print scripts for the presenters and operate their autocue. This eventually turned into a full-time news reporting role and I remained with WIN until I made the switch to Nine News Sunshine Coast when we launched in 2017. Over the years I've covered many memorable stories and historical moments on the Sunshine Coast. I've also had amazing opportunities to fill-in for presenters on the news desk and in the weather studio which is a real buzz for me. It was especially surreal when I co-presented with Nine Regional Queensland News Presenter Paul Taylor, who I used to print scripts for in my first job! Question: What advice do you have for young female aspiring journalists? Sophie Ryan: You need to be prepared to work hard. The court stake outs, the tragic stories, and the strict deadlines. It's tough. Always strive for accuracy. When you have some experience behind you, know your value and be your own advocate. But remember to be the best, you have to be the best. Question: How do you ensure you're providing locals with the stories that matter most to their community? Sophie Ryan: We are constantly talking and listening to the community to get a better understanding of what affects them. I think that communication helps us deliver the stories that matter most. Sophie Ryan: A typical day starts with a check of my e-mails, and a ring around of police to find out if anything happened overnight. We'll call other contacts to see if anything else is going on. Then it's pretty much non-stop until the afternoon. Lining up interviews, filming the story and then writing it, all while dealing with breaking news throughout the day. It's a juggle and you never really know how your day will unfold or where you'll end up. Question: What's your favourite part of the job? Sophie Ryan: I think all journalists are natural sticky beaks. I love getting the inside scoop and being there when police crack a cold case or a killer is sentenced. I also love telling the stories of people who do incredible things for charity or their community. It's great to give them recognition. Question: Do you have any pre-reporting rituals?